As I’ve been shooting photos with this camera – both around my home, and on a short trip we took this week – I’ve been trying to take pictures with constraints. I like black and white photos, and the camera has a number of interesting monochrome profiles, which I’ve been using. Setting a monochrome profile makes the image I see in the viewfinder black and white, which is interesting; I don’t view in color, and try to imagine how things will look later. I’ve also taken to shooting in a square format, because having this type of constraint makes you think differently. It’s easy to shoot in the native 4:3 format – there’s plenty to crop – but if you shoot in a pre-defined format, then you have to think more about composition when you take a photo. … for me, the zen of one camera, one lens has helped me. And this led me to another article on his site, 10 Reasons Why I Shoot With One Camera and One Lens, where he discusses using a fixed-lens camera with a fixed focal length. This sort of constraint is interesting. When I was shooting film, I only had one body and a few lenses, but only took one lens with me when I went most places. (And I didn’t own any zoom lenses.) 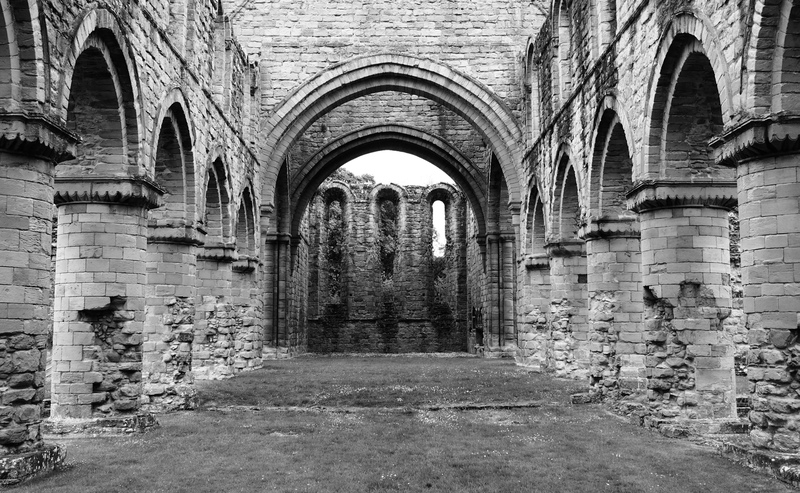 Even the other day, on an overnight trip, with a stop-off at some old ruins, I only brought two lenses. 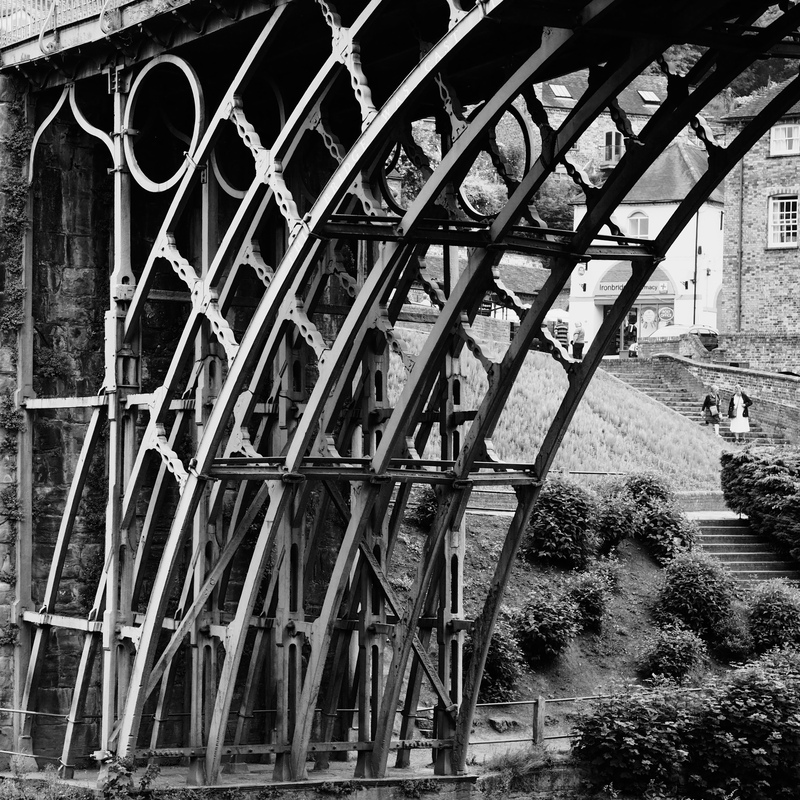 There are times when you need a longer lens, and if I hadn’t had this lens, I probably wouldn’t have taken any photos of this interesting iron bridge. The sky was a uniform gray, which is incredibly boring behind something like this. Kim’s one camera/one lens setup isn’t fancy; it’s a compact camera, the Ricoh GR II (Amazon.com, Amazon UK). Since he mostly does street photography, that’s a great choice, but it’s not for me. I want something that’s a bit more flexible, and especially that has a viewfinder. I can’t shoot photos looking at an LCD panel, but that’s because I learned how to shoot on an SLR. No matter, the one camera/one lens philosophy is a great idea. As Kim points out in his article, it lets him focus on taking pictures rather than using gear. Sure, additional lenses are great for those times when you’ve planned to shoot something particular, but if you just take your camera with you on a wander to shoot, don’t weigh down your bag, or your pockets, with extra gear. Sometimes, less choice means more freedom.